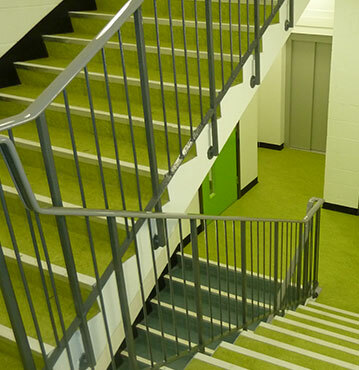 From Libraries to Pubs, from Bungalows to Hotels, from Office Suites to Leisure Centres, from your newly decorated bedroom to an ornate sweeping oak staircase… we can cover them all with our own, in house, fully employed, professional installation teams. Our expert estimator will come to your home, office or new build at a time that suits you and take precise measurements – this ensures we quote you accurately, reducing costs and material waste. Our huge showroom on Marsh Barton has some of the most innovative flooring ideas available today – from soft to hard floor coverings, natural to unnatural and everything in between. We might look like a warehouse from the outside but we have more on show here than most other shops in the area! We always try to provide the best price and we will aim to beat any genuine competitors offer. If you’ve had a quote for flooring elsewhere and would like a second opinion, give us a call and see just how competitive we can be. Our careful, friendly fitting teams will ensure the installation of your new floor coverings run as smoothly as possible. We are all construction skills certified (CSCS) and we directly employ our own teams of fitters ensuring we get it right first time. 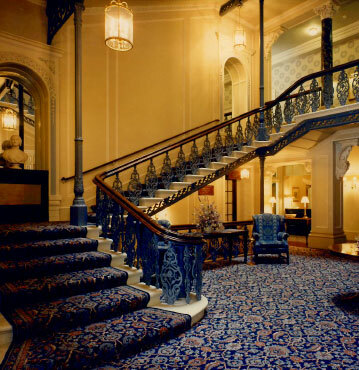 We installed this beautiful carpet to all the staircases and landings in the prestigious Grand Hotel in Brighton, as well as all the bedrooms too! 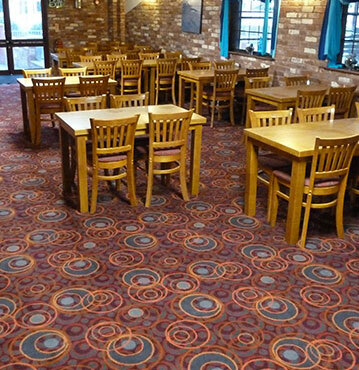 Hardwearing and beautiful we installed over 500 square metres of Axminster carpet into this amazing clubhouse. Our showroom in Marsh Barton in Exeter is open Monday to Friday from 9.00am until 5.00pm for you to browse and help decide upon your choice carpet or floor covering. With a large selection to choose from, as well as brochures from all the manufacturers, we can get you exactly what you are looking for. We are happy to offer a supply only service, where you can take advantage of reduced margins and unbeatable prices on carpets and flooring and take it away to fit it yourself. Our genuine Real Remnants enable you to buy offcuts of products at substantially reduced prices. Ideal for small bedrooms, bathrooms, hallways or offices. We save numerous roll ends, part rolls, boxes of tiles and LVT which are perfect for small areas where budget is tight – call 01392 201567. We come to you, take accurate measurements and discuss your requirements and get back to you with a competitive quote to supply and fit your preferred floor covering. Get in touch with us to organise a measure or quote. Let us know you're a real person. What is 8 add 2? With an extensive showroom containing carpet, vinyl and wooden flooring samples, you are assured of our commitment to deliver a first class service - from initial design ideas through to floor preparation and installation. How can we help you? Need inspiration? Just take time to look through our gallery page.